It’s been years Apple has launched the Apple Map but Indian users didn’t get access to Turn-By-Turn navigation in Apple Map. But Apple has finally launched this service on 10th of Jan 2019 and it is really great news for Indian iPhone owners to have Turn-By-Turn navigation in their iPhone native Map application. 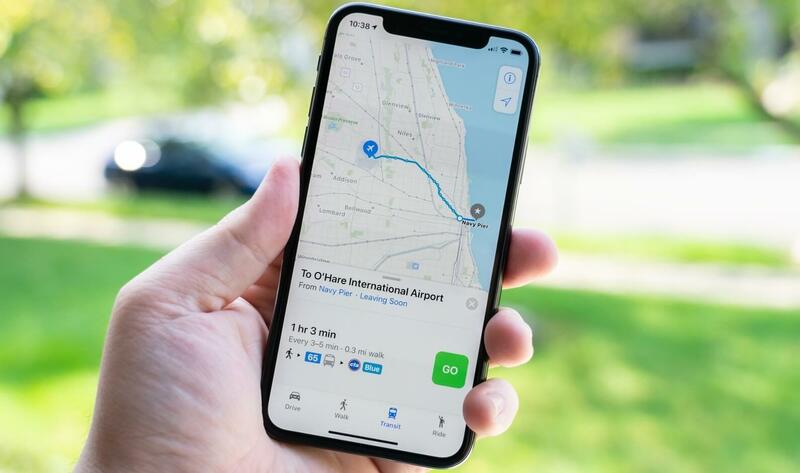 Apple knows India is an emerging market for mobile devices and Turn-By-Turn navigation feature will really appealing for the domestic customer as well as the regional customer who are using Maps in their daily routine life. Turn by turn navigation feature lets users navigate from one place to another with options like Drive, Walk, Transport and Ride options along with ETS(estimated time of arrival) and the total distance between a user’s current location and destination location. Users will also be able to check available routes for their destination. Another convenient feature of Apple map is that even if your phone screen is locked while navigating to one place to another, you can simply tap on your screen or raise to wake to get navigation updates. This navigation feature is also available in your Apple watch as well. Also, Native Apple Map got support for ride-hailing apps Uber and Ola which are biggest Taxi ride provider company in India. iPhone users can request rides from inside the Apple Map. But the story is not yet over, you can ask Siri to book a cab for you, this service does not seem to work with Uber but Ola works fine just like it suppose to. 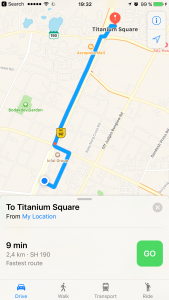 Till now Google Map is the clear leader for Indian mobile users but launching this new feature might get Apple users to start depending more on the native Apple Map app. 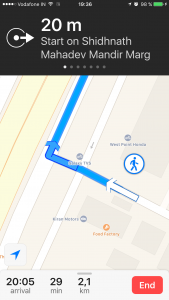 By day one this feature may not attract iPhone owners to switch to Apple maps right away but at least it’s a usable alternative now, especially if you have privacy concerns. 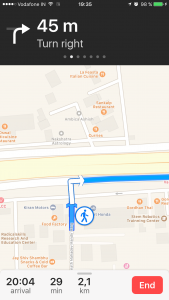 Wants to integrate maps and direction into your iPhone mobile application? We are providing complete solution related to maps and its direction feature for your mobile application. Contact us to know more about the Apple Map integration.